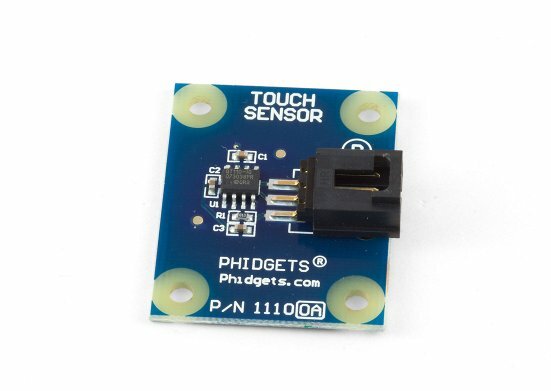 The 1110 has been replaced by the 1129 – Touch Sensor . Please note that the 1129 has significant differences from the 1110. Please refer to the table below for more information. 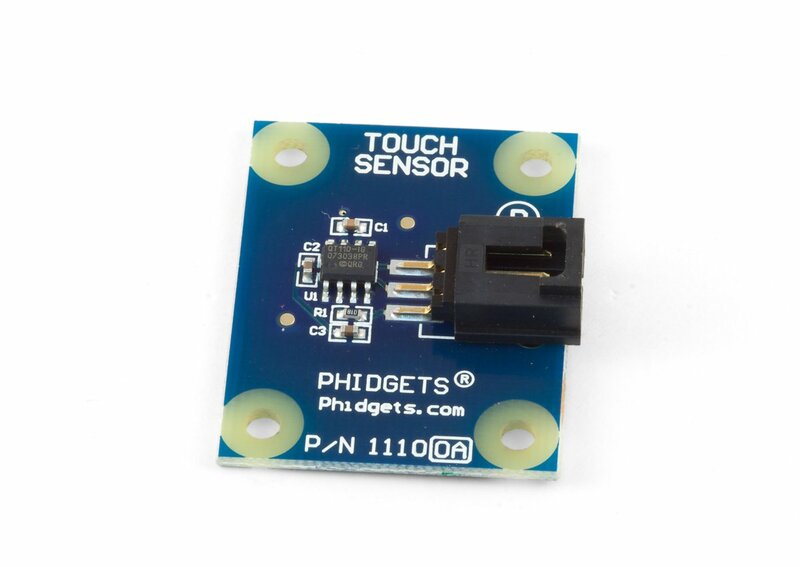 The 1110 is a capacitive touch sensor and can detect a touch through plastic, glass, or paper. We recommend a material thickness of 1/8”. This sensor is designed to be 3.3V compatible and can interface with other products as an alternative. For example, the Java based Sentilla Perk includes side ports that are compatible with 3.3V Phidget sensors without any modifications. Sensitivity (Thickness of Material) 1/8" 1/2"